>>> Iakovos Kambanelis è morto il 5 febbraio 2011.
και τ'αδελφού της τα φιλιά. ki éna htenáki sta maλiá. Kanīs δen īxere pōs īne tóso ōréa. mīn īδate tīn aγápī mou ? ke t’aδelphoú tīs ta phiλiá. me kítrino ástro stīn karδiá. col suo vestito bianco della festa e un fiore rosso tra i capelli. Nessuno può sapere quanto fosse bella! Ragazze di Auschwitz, ragazze di Dachau, avete visto il mio amore? né il fiore rosso tra i capelli. coi suoi capelli lunghi e neri cresciuti tra le mie carezze. Ragazze di Mauthausen, ragazze di Belsen, avete visto il mio amore? e una stella gialla sopra il cuore. with a little comb in her hair. No-one knew how lovely she was. did you see my love? or the little comb in her hair. Nobody knew how lovely she was. with a yellow star on her heart. Personne ne le savait, qu'elle était aussi belle. N'avez-vous pas vu mon amour? Ni de peigne dans ses cheveux. et les baisers de son frère. et une étoile jaune sur le cœur. Ich seh’ sie vor mir mit ihrem Kämmchen in dem Haar. Und keiner hat es je gewusst, dass sie so schön ist. Habt ihr gesehen die Geliebte mein? Und auch kein Kämmchen im Haar. Verwöhnt von den Küssen ihres Bruders! Und keiner hat es je gesehn, dass sie so schön ist. Und einem gelben Stern auf ihrem Herzen. Zoals een bloem het zonlicht het liefste is. Zo lief is hij mij, die mijn koning is. Vertel me toch, waar hij is. We hebben hem vandaag voorbij zien komen. O, mijn liefde die alles verwarmen kan.
Zoals zijn hoofd rust in mijn linkerhand. We hebben hem een gele ster zien dragen. Hij kreeg hier geen antwoord op zijn vragen. Ninguém sabia como ela era tão bela. Não viram o meu amor? nem o pente nos seus cabelos. E uma estrela amarela sobre o coração. Nikt nie wiedział, że jest taka piękna. Widziałyśmy ją w dalekiej podróży. Z numerkiem na jej białej ręce. Z żółtą gwiazdą na Sercu. Jakaż piękna jest moja miłość. 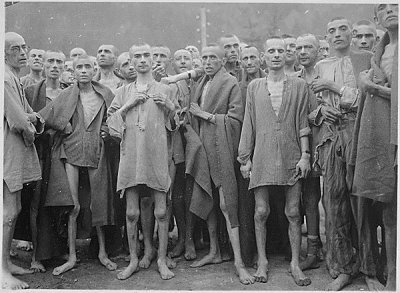 Dziewczyny z Bergen – Belsen. Widziałyśmy ją na zamarzniętym placu. Je suis toujours surpris de choses qui se passent »après«. 1965: La Chronique Mauthausen est en train d'être préparée pour sa publication par Themelio. L'Editeur Général Mimis Despotides, qui restera à jamais présent dans nos mémoires, a eu une idée, avec laquelle tant Mikis Theodorakis que moi nous étions immédiatement d'accord: écrire une collection de chansons qui seraient enregistrées, de sorte que le disque et le livre pourraient sortir en même temps. C'est exactement ce qui arriva. En décembre de la même année, dans un théâtre, je lus des extraits de la Chronique, ensuite les chansons furent crées. Une soirée inoubliable! Pas seulement pour moi, mais également pour Theodorakis et Farantouri. 1980: Je décide de retourner pour la première fois à Mauthausen. C'est le mois de mai, et les anciens détenus du camp, femmes et hommes de toute l'Europe, y ont organisé des retrouvailles. Nous nous sommes rencontrés le jour même du 35e anniversaire de notre libération. En d'autres mots, le 5 mai, nous nous sommes rassemblés dans le village de Mauthausen pour marcher ensemble vers le camp. Nous, les 30.000 survivants, gardions le silence pendant cette montée vers le camp en signe de souvenir, d'amour et de respect pour les 240.000 qui étaient allés là vers leur Golgatha. Comme nous nous rapprochions de l'enceinte du camp, j'entendis vaguement une musique venant de l'intérieur du camp, de la large cour intérieure. Elle a été transportée par l'air matinal tout le long du chemin vers les collines portant de nouveaux arbres. Plus tard, sans mentionner qui j'étais, j'allai au secrétariat et demandai quel était donc le chant que nous avions entendu le matin... Ils m'ont dit que c'était le thème musical du camp depuis des années. Retour en 1965! Combien merveilleusement et créativement inconscients nous avons été. Rileggendo e riascoltando la Cantata di Mauthausen, ad alcuni potrebbe tornare in mente che pochi anni fa a Mikis Theodorakis fu tesa una colossale trappola, con la quale si cercò di farlo passare per ... antisemita. Non gli si perdonava di desiderare un futuro degno e vivibile per entrambi i contendenti del conflitto israeliano-palestinese; e gli venne applicata l'equazione per la quale, se non si è acriticamente fautori della politica del governo israeliano in carica, necessariamente si è antisemiti. Conversando, a casa sua, con alcuni giornalisti, Theodorakis aveva fatto una riflessione sui due popoli, il greco e l'ebraico, entrambi così antichi, così decisivi per ciò che dai loro spiriti magni ha tratto l'Occidente, e - se pure un paragone sia possibile - così maltrattati dalla storia, al punto da essere stati per secoli costretti a sognare e, finalmente, a conseguire ciascuno il proprio risorgimento, e a sforzarsi quotidianamente anche oggi per convivere con il mondo moderno salvaguardando un'identità difficile da perpetuare per chi possa confrontarsi solo in piccolo numero con il vasto mondo, e usi inoltre una lingua specialissima, ignorata o mal capita da tutti gli altri. Confrontando il grado di passione che gli uni e gli altri riversano in questo sforzo, a Theodorakis accadde di dire, e lo disse con amarezza in quanto Greco, che i suoi connazionali non hanno lo stesso "fanatismòs" degli Ebrei. Ora, in greco la parola non ha l'irrimediabile connotazione negativa che ha assunto altrove. Può anche significare passione intensa, ostinata, esclusiva: e infatti il rimprovero di Theodorakis era diretto ai Greci, che si sono mangiati a suo dire, l'anima in cambio dei consumi globali, e non certo al popolo ebraico. Parecchi giorni dopo, un giornale greco di destra "sparava" la notizia che il compositore aveva denigrato gli Ebrei, bollandoli di "fanatismo". Il governo israeliano fece passi diplomatici verso quello greco. La stampa internazionale riprese e dilatò la notizia del Theodorakis antisemita. E anche la nostra TV ci cascò. Così va il mondo, va anche così. Iakovos Kambanelis è morto il 5 febbraio 2011. Come già specificato nella pagina dedicata a Ὁ ἐχθρὸς λαός, Iakovos Kambanellis non è scomparso il 5 febbraio 2011, bensì il 29 marzo 2011. Il giorno 4 febbraio era stato ricoverato al Policlinico di Atene per un acutizzarsi della sua malattia renale. 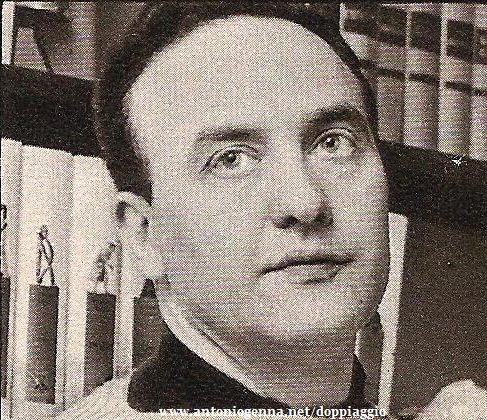 Una ben triste notizia che sicuramente, come ha fatto Gian Piero Testa, è opportuno riportare anche in questa pagina dedicata alla "Cantata di Mauthausen", l'opera musicata forse più famosa di Kambanellis. Nel rifare tutte le pagine dedicate alla Cantata di Mauthausen, mi sono accorto di una coincidenza toccante e incredibile: sia uno dei principali autori, Iakovos Kambanellis, sia due dei traduttori italiani, Leoncarlo Settimelli e Sandro Tuminelli, sono tutti scomparsi nell'arco di pochi giorni tra la fine di marzo e il mese di aprile del 2011.
mit einem Kämmchen im Haar. Es wusste keiner, dass sie so schön ist. habt ihr meine Liebste nicht geseh'n? auch kein Kämmchen im Haar. und auch vom Bruder beschützt. mit einem gelben Stern auf der Brust. I wonder if there's anybody out there who could help me by listening to the audio sample below and identifying this song performed in Finnish by Arja Saijonmaa and titled "Ei kuule kaupunki" (The City Won't Hear). According to Finnish music database records, it's a Mikis Theodorakis song, but not knowing a word of Greek I have absolutely no idea which one. So I would be most grateful for the Greek title of the song. According to a handful of site sources, the Finnish song (from Arja Saijonmaa's 1972 album Laula kanssani toveri) appears to be translated from a song originally written in French ("Cité n'entend" or something like this, see here) and set to music by Mikis Theodorakis. According to other sources, the Finnish lyrics were written by Tapio Lipponen. It has proven impossible to find any French song called "Cité n'entend" (by the way, this is uncorrect French; I have tried with "La cité n'entend pas", a French rendering of Finnish "Ei kuule kaupunki", but in vain). I have also tried to translate the title into Greek ("Η πόλη δεν ακούει"), with no result. In my opinion, the music has something to do with that of Δραπετσώνα, but this is really vague. The complete Finnish lyrics of the song are unavailable: could you please transcribe them, so that further researches can be made? By the way, with my extremely poor Finnish, I think this song could be included in the site as an original Finnish song. I seize the occasion for expressing my best wishes to Mikis Theodorakis, who is currently in hospital (since 26 February) due to a heart attack. Mikis Theodorakis is 93 years old (he was born on 29 July 1925). As for the Finnish song, I thank you for transcribing it so promptly. I hoped it would light sort of a candle in my mind, but I really remain in the darkness. 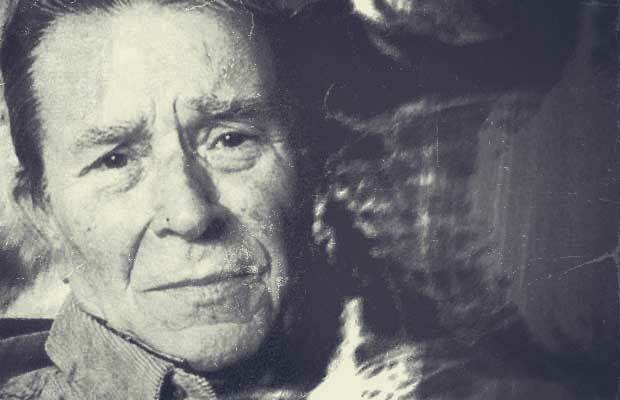 Sadly enough, the only person who could have helped us with his deep knowledge of anything Greek (I mean Gian Piero Testa, of course), is no longer in this world. 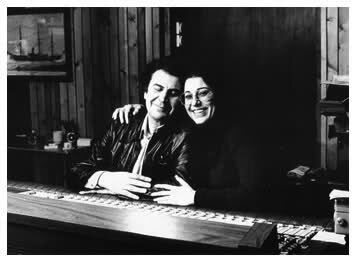 As far as I remember, he was acquainted with Mikis Theodorakis' daughter. The alleged author of the Finnish lyrics, Tapio Lipponen, passed away in 2017. Just one question: would it be possible to conctact Arja Saijonmaa to ask her if she remembers something about this song and its French or Greek original? This site includes a number of "mysterious" songs that have been elucidated after long years of research, and I think this is another. Actually, I didn't transcribe the lyrics now. Instead, they've been stored on my computer for years waiting for the original song to pop up in order for me to submit it to this website. 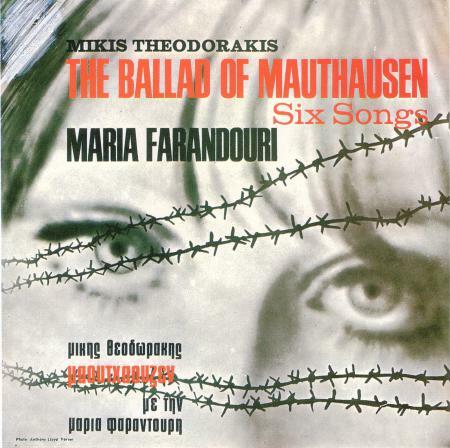 One more tiny bit of information I forgot to mention: according to Finnish archive records, both the music and lyrics of the song are attributed to Mikis Theodorakis. I guess Arja Saijonmaa will remain my last resource.